Venerable Drikung Lho Ontül Rinpoche, an eminent Drikung Kagyu lama and an engaging teacher who teaches regularly all over the world, will be at Three Rivers Tibetan Cultural Center to give a one-day empowerment and teaching on the Ruby Garland Buddha Amitabha practice. Born in 1950 in Eastern Tibet, Ontül Rinpoche has received Mahamudra and Dzogchen teachings from many great masters and yogis: H.H. Dalai Lama, H.H. Kyabgon Chetsang Rinpoche, H.H. Dudjom Rinpoche, H.H. Dilgo Khyentse Rinpoche, Yogi Pachung Rinpoche, Polu Khenchen Dorje, Ven. Khunu Lama Tenzin Gyaltsen, Kyabje Kalu Rinpoche, Khenpo Khedrup Rinpoche and others. Ontül Rinpoche’s great strength as a dharma teacher was described by H.H. 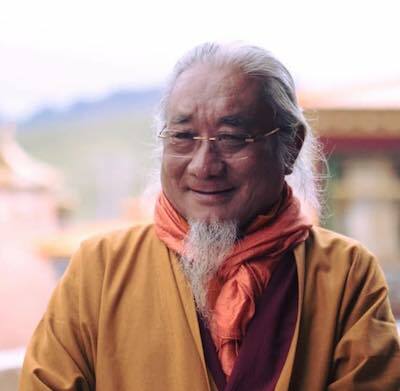 Chetsang Rinpoche as being “like a mountain in the ocean.” It is a rare opportunity to meet such a qualified spiritual teacher who is accessible to practitioners who wish to embark on the spiritual path. 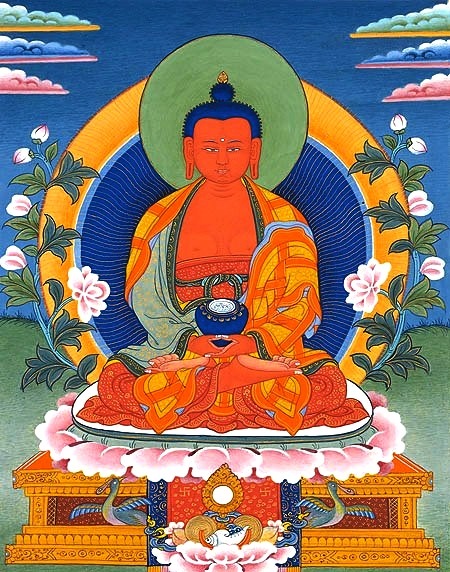 The Ruby Garland Amitabha practice is a pure vision of the 19th century master Nuden Dorje, with a concise daily practice, prayers, and multiple activity mantras to help the deceased and the living to reach the pure land of Dewachen, with a PHOWA practice that is associated with it. No prerequisite is required. Suggested donation is $50 for the whole day. A simple vegetarian lunch will be offered by our sangha members from 1pm-3pm. 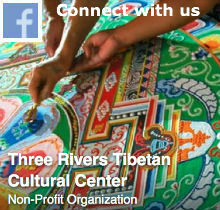 Your donations will support TRTCC’s teaching programs and cultural events year round. No one will be turned away from dharma teaching for insufficient funds.